Тема выпусков описание и боевой путь боевых подразделений и родов войск всех стран мира. 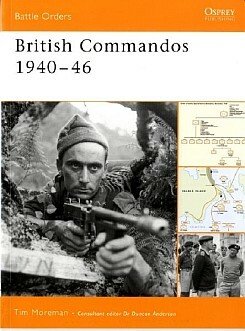 Battle Orders studies the organisation, actions and strength of a major unit in battle, describing elements of doctrine, training, tactics, equipment and deployment. Breaking down military units into their constituent parts it reveals how individual fighting strength, combat missions and command decisions determine the course of major battles and wars. Developed by a team of military professionals, academics, and strategists, Battle Orders contain detailed orders of battle, tables of organisation and equipment, maps, charts and contemporary photographs, making it ideal for historians, armchair generals, wargamers and military enthusiasts.